Located in the municipalities of Saint-Luc-de-Bellechasse and Saint-Magloire in the MRC des Etchemins and in the municipalities of Notre-Dame-Auxiliatrice-de-Buckland and Saint-Philémon in the MRC de Bellechasse, in Quebec, Canada, the 150 MW Massif du Sud wind project, developed by EDF EN Canada, EDF Renewables’ Canadian sister company, generates enough clean electricity to meet the needs of about 35,000 Quebec homes. With an investment of close to $340 million, the project created more than 250 jobs during the peak construction phase, and around ten permanent operation and maintenance jobs. 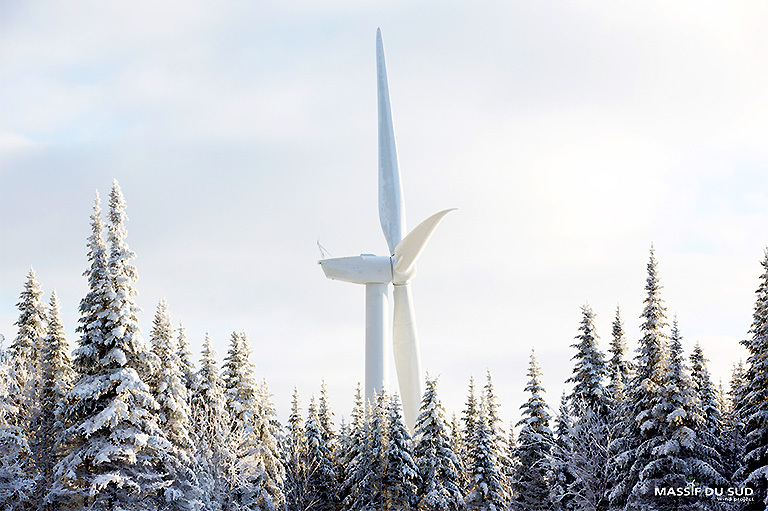 One of seven wind energy projects awarded to EDF EN Canada through Hydro-Quebec call for tenders, Massif du Sud consists of 75 wind turbines supplied by REpower, with a portion of the equipment procured from the designated region of Gaspésie-Bas-Saint-Laurent. Construction of Massif du Sud commenced in November 2011 and reached commercial operation on January 18, 2013. 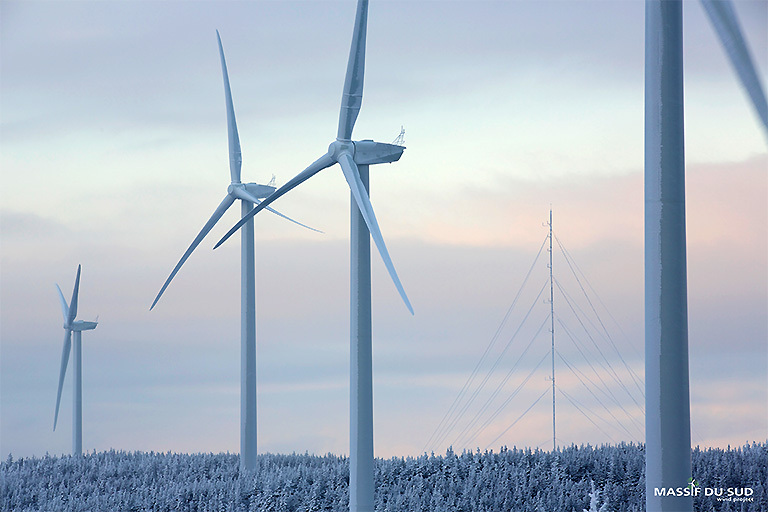 In total, EDF EN Canada will develop and build 1,003.2 MW in the province over the next three years. 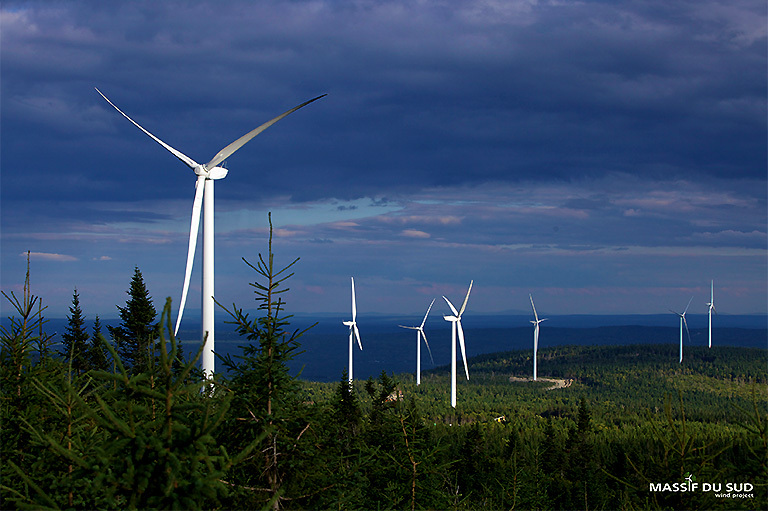 This project represents one of two Quebec wind projects jointly owned by EDF EN Canada and Enbridge. EDF EN Canada Inc.’s operation and maintenance affiliate, EDF Renewables Inc. provides long-term operations and maintenance (O&M) services.